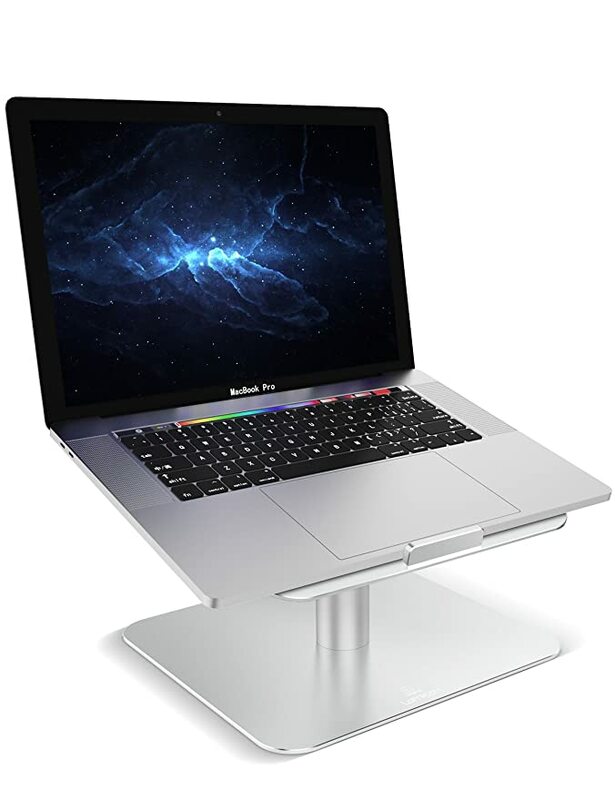 Wide Compatibility: The laptop stand fits all tablets and laptops up to 17", such as 12-inch MacBooks, 13-inch Macbook Airs, 13-inch and 15-inch Macbook Pros, Microsoft Surface, Google Pixelbook, Dell XPS, HP, ASUS, Lenovo and more notebooks. Ergonomic Design: The stand works as a raiser to elevate the laptop screen to your eye level, fixes your posture and frees you from back/neck stiffness.The axis connecting with base is 360 rotatable, enable you swivel the laptop to any angle you want. Stable & Protective: Made of premium alloy, the stand is quite sturdy and has a smooth edge that protect you from being scratched. With rubber pads on the top surface and front lip, hold your laptop stable in place and no worry about any scuffs on your pretty notebooks. Hassle-free Purchase: Lamicall provides 12 month money-back or new replacements warranty. If you have any problems or questions, just feel free to contact our 24-hour friendly&helpful customer service.